Hazel Green, AL Custom VW restoration company Airkooled Kustoms announced the latest display of its work – a fully restored 1965 VW Beetle – at Hiley Volkswagen of Huntsville, AL. 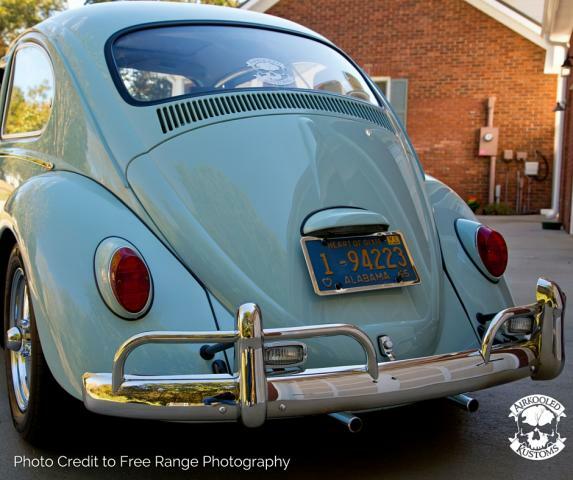 Classic Volkswagen enthusiasts will find themselves transported back in time by 50+ years when they see this Bahama Blue stock Beetle. 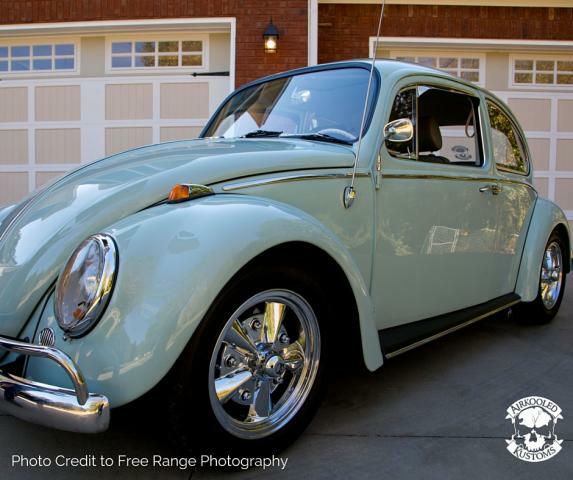 Nicknamed “Jarrell’s Bug” after its owners, the restoration began as a green patina car was brought into the shop for a complete pan-off, down to bare metal restoration. The chassis, body, interiors, engine, electricals, transmission, tires, and every other part were stripped, restored where possible, and replaced where needed. The finished restoration showcases a powerful 1600cc dual port engine, wide five disk brake kit with drop spindles, TMI interiors, EMPI 5-spoke chrome wheels, and a 3-inch narrowed beam with adjusters. 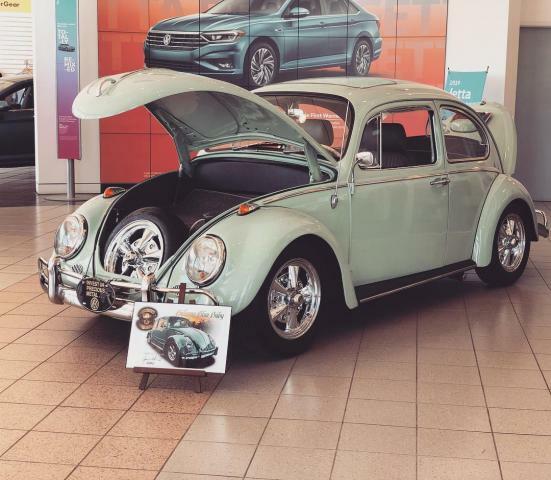 The restored 1965 Volkswagen Beetle was painted in a stock Bahama Blue paint and now occupies a coveted display area at Hiley VW. 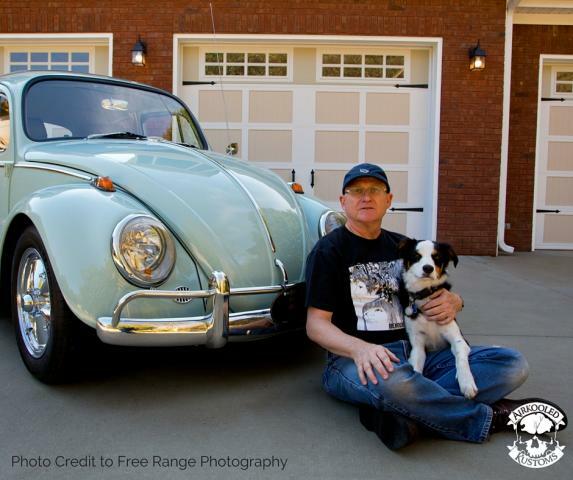 The Hazel Green, AL Volkswagen restoration shop ensured that no part of the car was left untouched during the project. The car was stripped to component level before being lovingly rebuilt by the company’s team of VW restoration specialists. 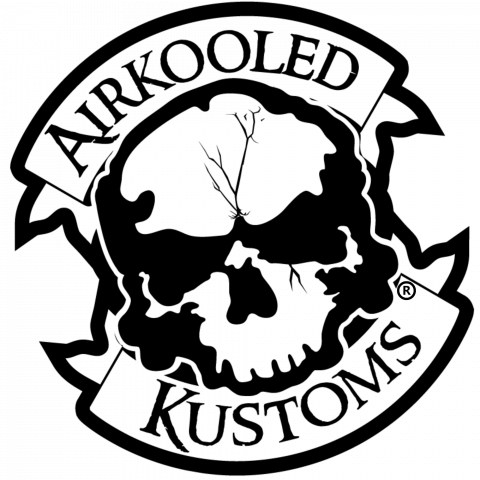 Airkooled Kustoms is a classic Volkswagen and Porsche restoration company headquartered in Hazel Green. The company headed by owner and chief engineer Eric “Spook” LeClair has won several awards for its stock and custom rebuilds and restorations at local and national car shows. More information is available over the phone 256-828-2123 and at the URL above.